I was supposed to go on a business trip, but less than an hour before take-off it was canceled. Luckily I was scheduled to fly from Brno on the Brno-Munich connection, so I wasn’t even heading for the airport when the cancellation went through. We are racing the eight on Saturday so I had delegated this evening’s session in the eight to a reserve. Now I cancelled the reserve and could row it personally. Always better than delegating. Especially in that final week before a race when things are supposed to come together. Warming up. Row 1500m at 24pm, pushing hard. Then a series of starts plus 20 strokes. I had CrewNerd running during the session, but the phone was tacked away behind my footstretcher. There is no place to fix the phone in the eight. That’s OK. I just wanted to record the session. On top of that was my water bottle. During the first start, my water bottle started wandering towards the rower in front of me in the second stroke. So before the second partice start I tried to press it tightly into the small gap between the footstretcher and the nr 3 position. I must have stopped CrewNerd during that, because I have no stroke data after the first practice start. 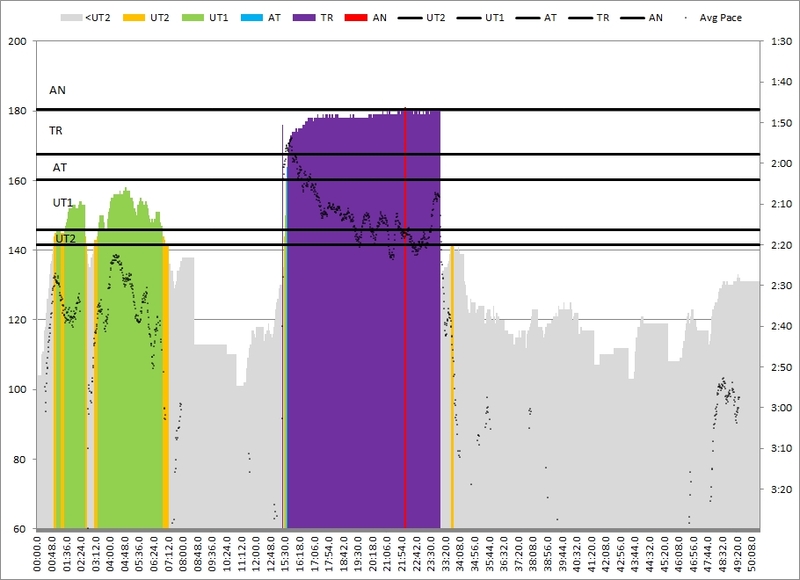 The stroke rate and the pace/heart rate plots are misaligned by about 2 minutes. I guess you can get the point. 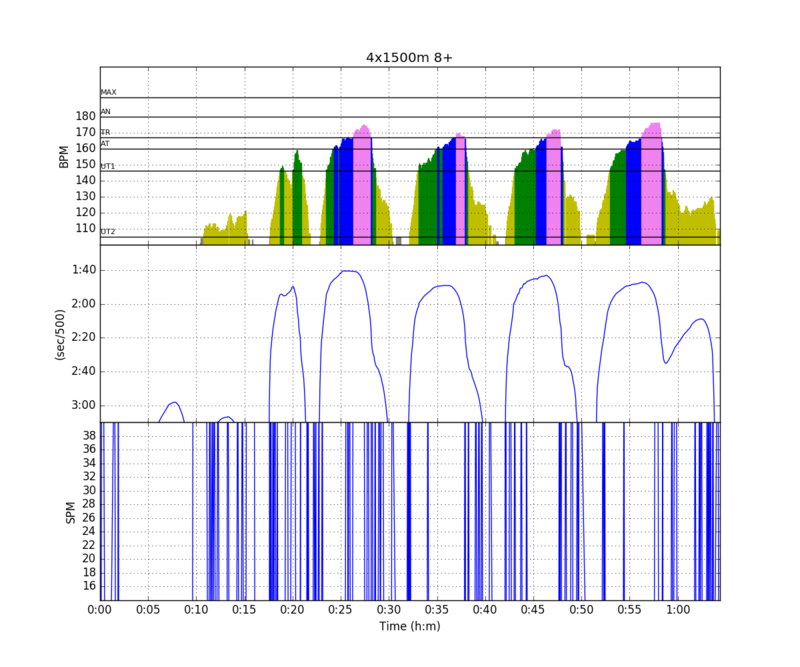 After the row, our stroke claimed that he stuck to 24spm during the 1500m. Looks more like 27/28 spm to me in the plot. We also struggled quite a lot during this 1500m, so we had some discussions while turning the boat. We have to put more emphasis on finishing strong and clean. After the 1500m we did the practice “start+20”. The starts were fine and the first 10 strokes were pure bliss. The timing was great. The strokes were hard and the finishes strong. Then after 10 strokes we were supposed to take a bit more length and that’s where things started to fall apart. It seems in the process of taking more length we forget to finish strong. In the locker room we discussed the 1k tactics. My point being that a 1k race in an eight is a matter of 3 minutes and a few seconds. We should stay rowing in the rhythm of those first strokes after the start. We will row away from our competition. 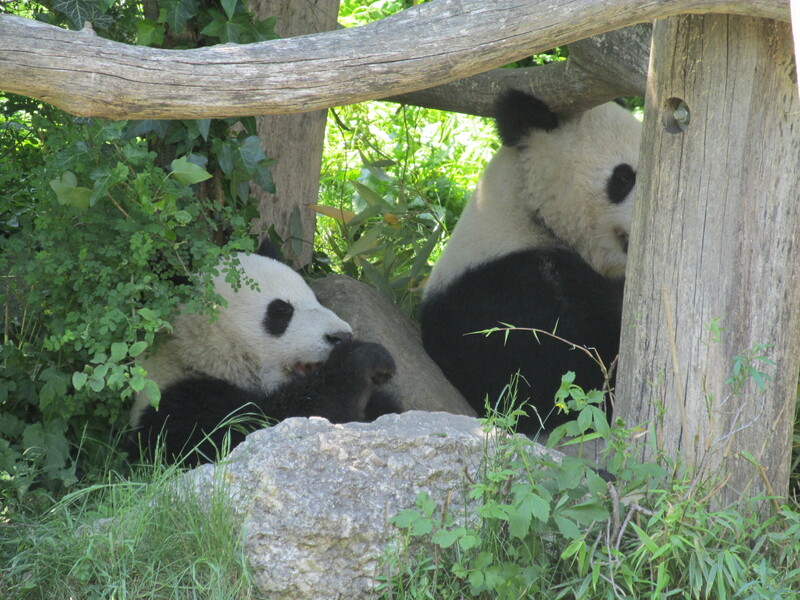 If we try to take length we will just slow down, keep them next to us and then we will have to rely on our final push. Another interesting factor is that there are many thunderstorms and heavy rain in South Bohemia. If this continues, we will row on Prague on high water. On the occasion of the jubilee 60th edition of the Prague Mayors Eights, development of Masters rowing in the world inspired Spartak Praha 4 – ČVK officials in 1973 to extend the programme to include a race for those rowers who did not contest in the main competition any more. The founders donated a challenge trophy for the winners: a wooden shield. The race is run over the typical Masters distance of one kilometre. 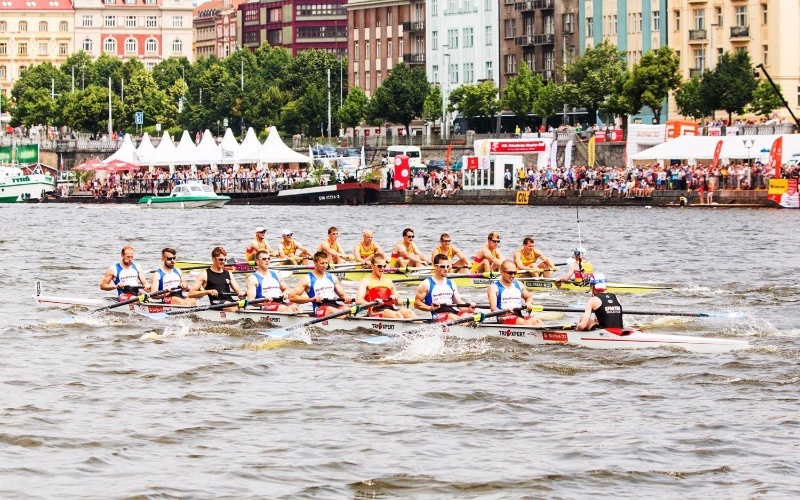 There had been just one category for a number of years, and it takes place on Saturday because the entrants include numerous officials who carry out their duties during the Sunday programme of the Prague Mayors Eights. During the 1990s, the number of categories increased, sometimes up to five. A very remarkable race occurred in 1990 when the Vyšehrad-based Blesk and Smíchov-based Tatra crews introduced several emigrants who had not visited their native country for years with some of them having been banned from returning. The line-up Provazník, Líbal, Pulkrábek, Mrvík, Schmidt, Pojezný, Toček, Čermák – Koníček included Pavel Schmidt, the 1960 Rome Olympic Games double scull winner. Unfortunately, two of these famous rowers, Pavel Schmidt and Jula Toček, are no longer among the living. In 1992, the Masters event was run as an international race for the first time. 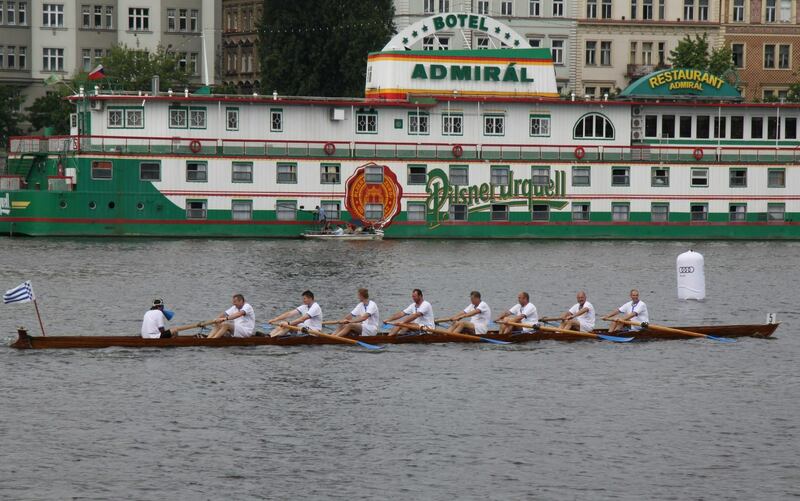 A year later, the Mayor of the City of Prague donated a perpetual challenge trophy to the Masters Eights. It’s quite a big event. 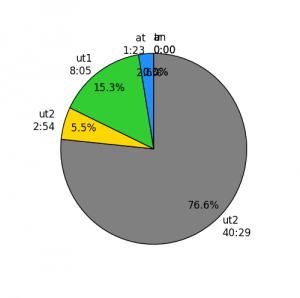 Today’s training was a 4x1500m in the eight, each 1500m rowed as 500m @ 24spm, 500m @ 26spm, 500m @ 28spm. 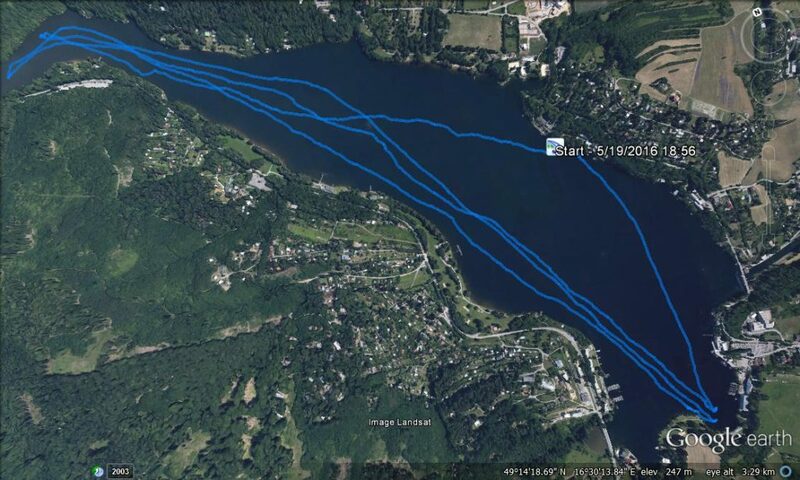 The rest time was roughly five minutes, measured as “paddle a bit, stop eight, turn around, drink some water, go”. I forgot to start CrewNerd so I don’t have stroke rate data. So, after the row I synchronized my Garmin Forerunner using the phone. 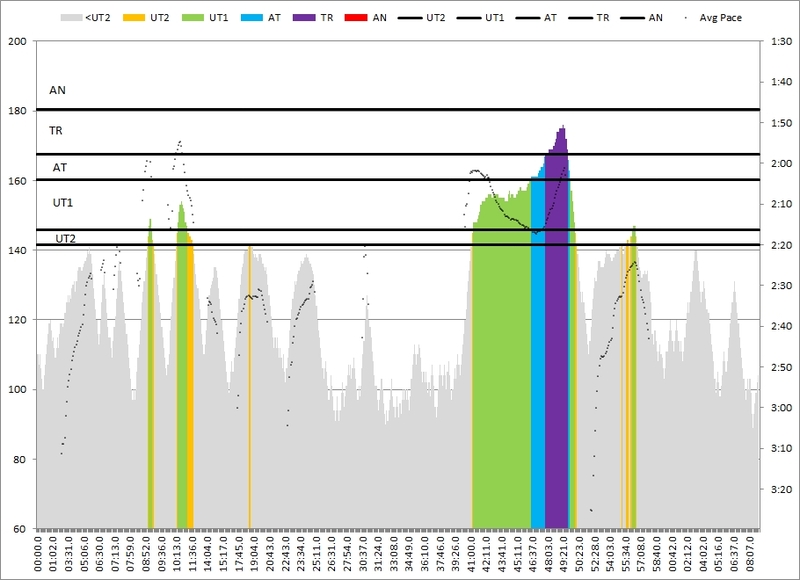 The data were immediately pushed to Strava, and I used Rowsandall.com’s import from Strava to generate the plots. 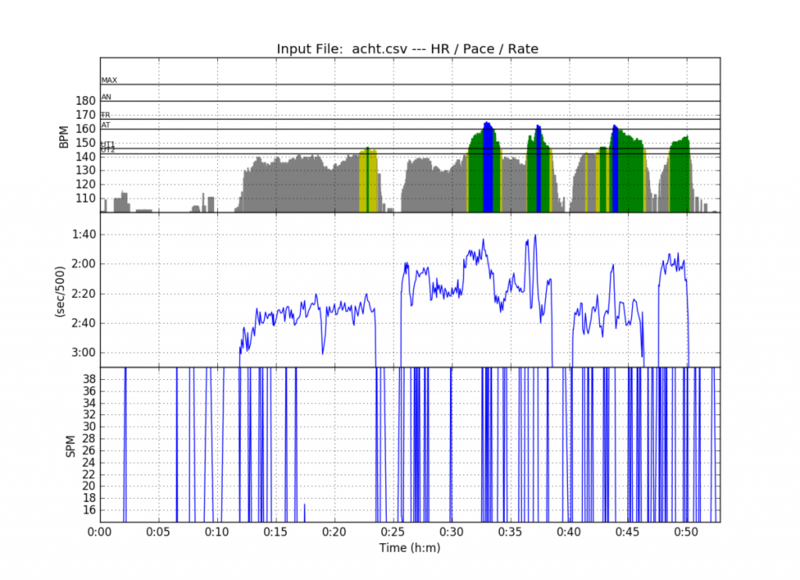 The only thing is that my data smoothing is a bit of overkill for the super accurate Garmin Forerunner data. The site on rowsandall.com is now open for all users. Just register and try it out! As I wrote here, the organizing club registered a composite crew for the mix 8+. They wrote 8x N/A on the start list and it was our task to show up at the start somehow. When we arrived to Breclav on Friday, Slavka, the local trainer, immediately approached my wife Romana to ask if she would row the mix 8+. “Only if I am in that boat as well,” I answered. That basically secured my place. 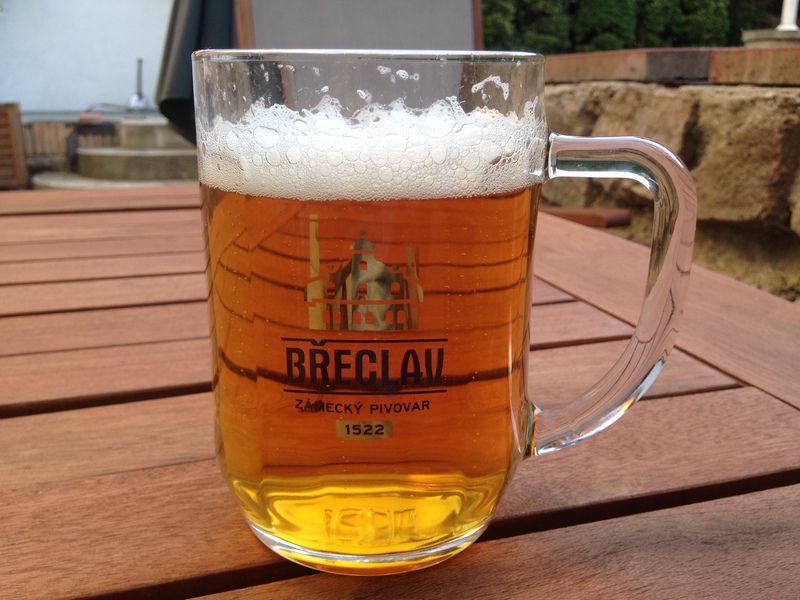 When I talked to Slavka later that day, she talked about exchanging some Breclav men with faster men from Ostrava, because the Breclav guys were not such good rowers. The ladies were secure, selected by secret selection criteria, but the men were selected by Slavka on boat moving qualities. I presume. Survival of the fittest. Anyway, on Sunday noon we lifted the very old and very heavy boat and put it in the water. 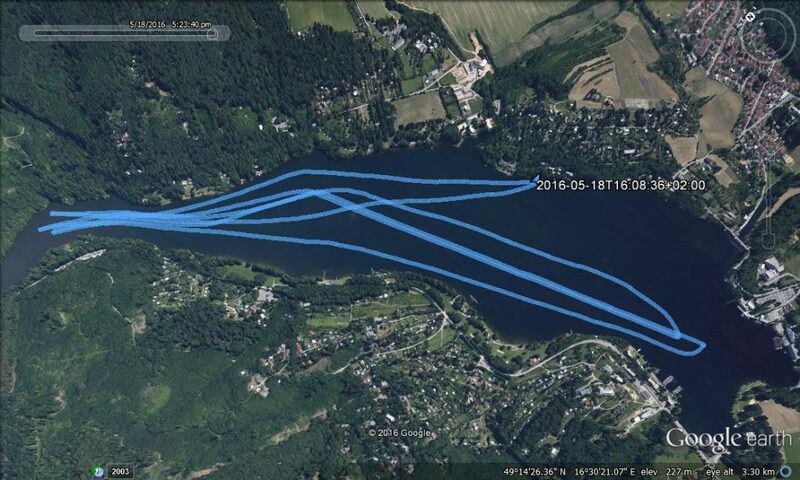 Our competitors, a crew from Hodonin who train on the mixed 8+ each Wednesday evening, were already rowing to the start. I ended up on stroke side in #6 seat. I prefer to row bow side, but I can row both, so no problem. Rowing to the start we did one practice start and that was our race prep. We were in lane 2, our competitors in the faster lane 3. We were fastest out of the start and the 14 year old boy who coxed us turned out to be an excellent cox. He managed to steer the ideal line and shout tactical orders to us at the same time. Really a good cox. A good cox is basically the reason why I love to row the eight. Despite the disadvantage of the outer turn we stayed ahead of Hodonin. They tried a few 10 stroke sequences but we reacted promptly. Turning into the final straight 300m we led by a length and in this head wind straight section we managed to widen the gap to two lengths. We won a few bottles of wine and a nice big medal. Hurray! 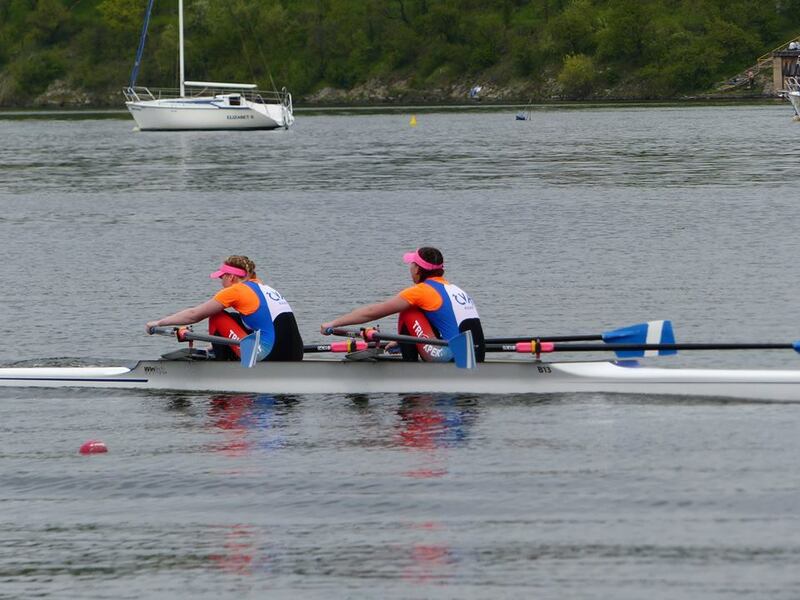 Won the B final in the double and qualified for the Youth Nationals. There were 4 boats in the B final and the first 2 would qualify. Lenka stroked this with the “lead from start to finish” tactics, winning by a few lengths. 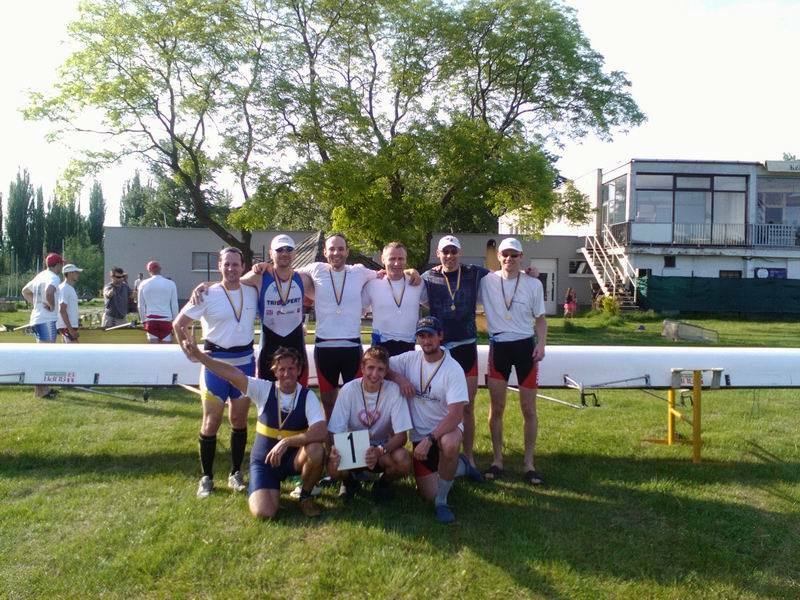 There was a nice fight for second place, with Hodonin rowing second place for 1000m, only to be overtaken in the final 500m by Otrokovice. Good for Laura and her to experience rowing in the lead. They enjoyed this race. Qualification secured. Romana almost got them disqualified for following the race in the coach launch. She was at a long distance from the racing lanes and didn’t shout any instructions. Still, at one point she was in front of the referee launch, so that was a concern. Luckily the referee was a reasonable person. On to the single B final. Lenka was not looking forward to this one, rowed at noon in a 35 degree heat, with the quad only 2 hours later. 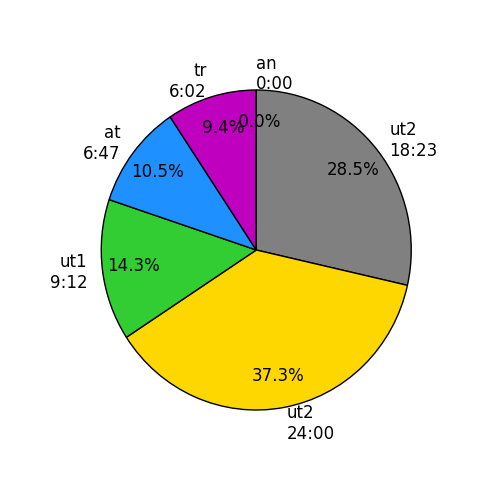 Romana agreed that she would row it at a 25spm. 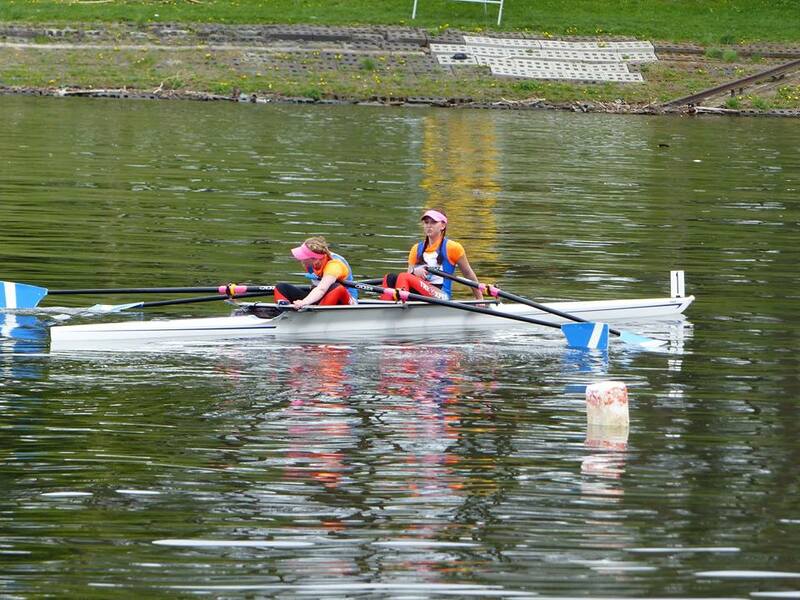 In the end of the day Lenka rowed to (non-qualifying) 4th position, going up to 27spm in the heat of the fight. She had a disappointing race in the quad. 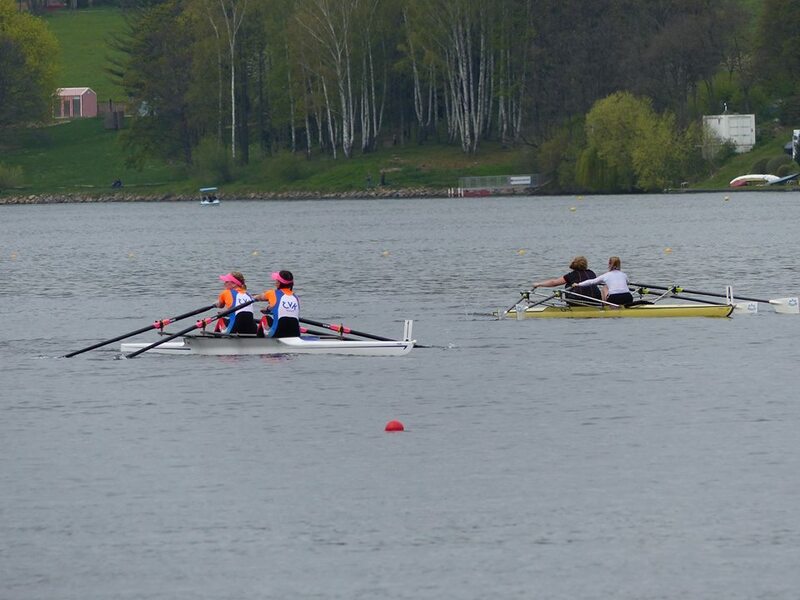 Their team had expectations to win, but in the end they were over-classed by 4 girls from LS Brno who are rowing at international level, and also Olomouc overtook them. A spark was missing here. I guess 3 races is quite a lot in these hot conditions. 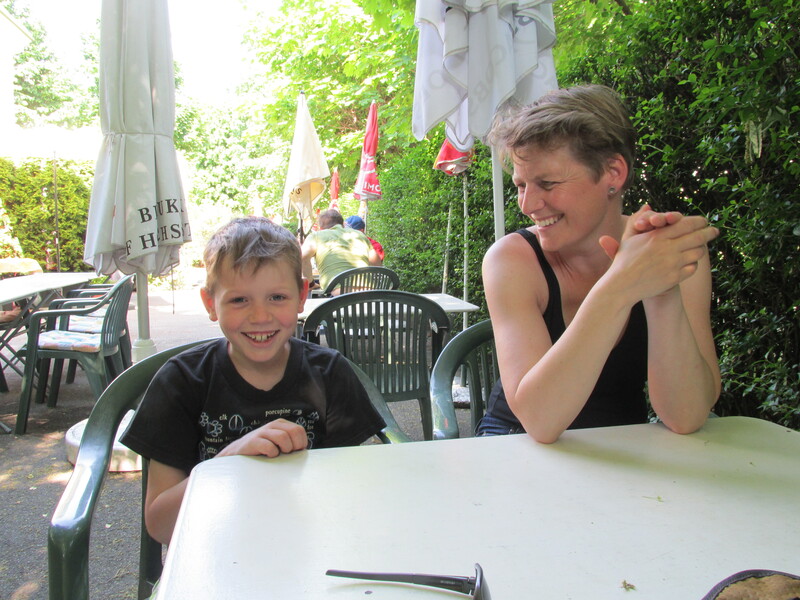 His race being at 4 o’clock, our son Dominik decided to spend most of the day swimming in the lake. Not exactly ideal race preparation but I wasn’t going to prevent him. He had qualified himself for Youth Nationals, and it would be torture to keep a 11 year old indoors for the sake of a rowing race. In hot summer weather like this, when you’re that age, you should be making fun by the water. His 500m race was good for the first 250m, then he suddenly reduced pace. He also stopped 2 strokes before the finish line and had to be told to cross it. Came in last position. He commented that he had the oldest boat. Read about my adventure in the double in another blog post. I was really tired after that. Still had to walk around on the club helping various others getting on the water in time. Also, spent some time and energy discussing our line-up for the Masters Nationals and for Hazewinkel. 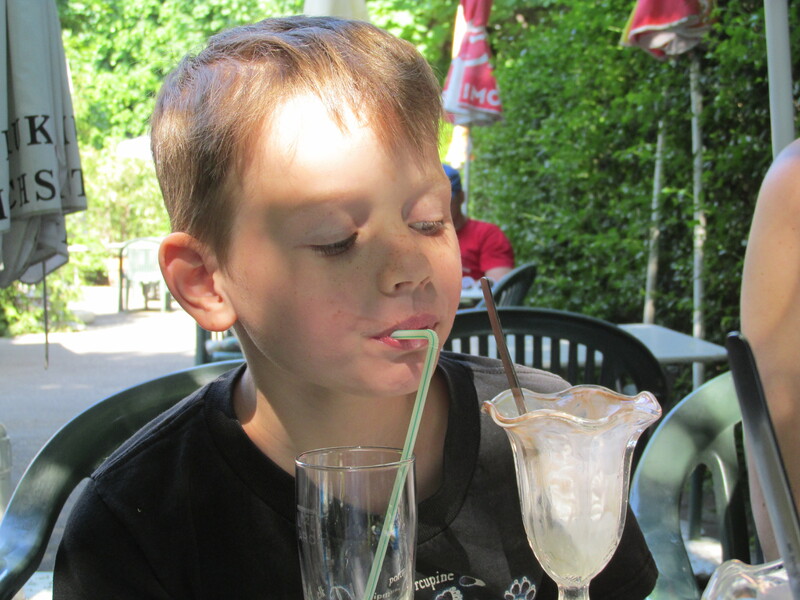 Being at 72.0 kg on my own scale I had to be careful eating and drinking. Then, at 1pm, I hopped on the bicycle to ride to the LS Brno club house for the weigh in. My upper legs protested vehemently, so in the heat of the day it was a very hard 2km ride. I weighed in at 71.6 kg on the official race scale. I can be brief about this race. My plan was to hold 2:00 to 2:05 pace in the light headwind, but it turned out to be too ambitious. My legs just didn’t cooperate. I was rowing in the back with the referee boat and as I wasn’t out of breath I was able to speak to him but I just couldn’t push any harder for the pain in my legs. Covered the course in 8:38 measured on CrewNerd. I can do that in a training, a couple of times. 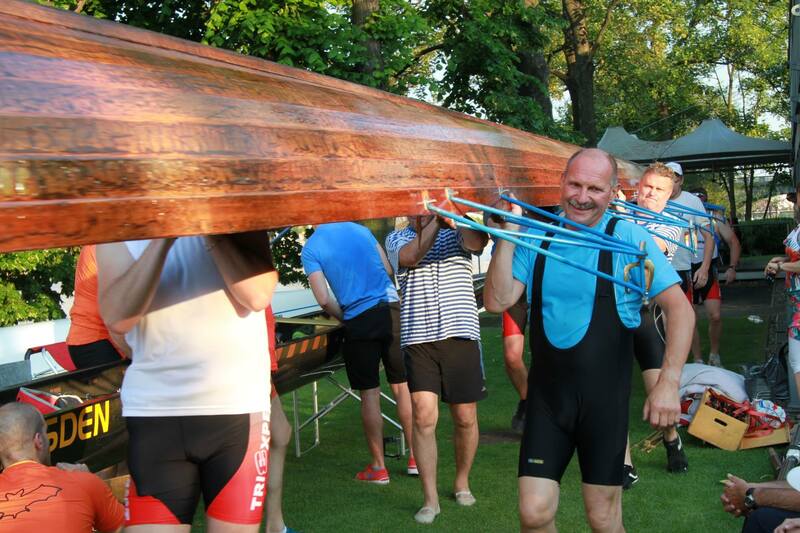 We wear 1940s rowing clothes and row in a lapstrake built wooden eight, with wooden oars with long, thin blades. Of course we rowed way behind the real eights, but it was fun anyway. The referee was taking pictures of us and the speaker made us row a special round in front of the crowd at the finish.